ArenaNet is the developer for popular game Guild Wars and Guild Wars 2. They have decided to part ways with former employee Jessica Price, and another employee who decided to stand up for her (Still needs to be confirmed). Jessica has had a controversial past on the ArenaNet forums and Twitter as being a really strong social justice warrior. 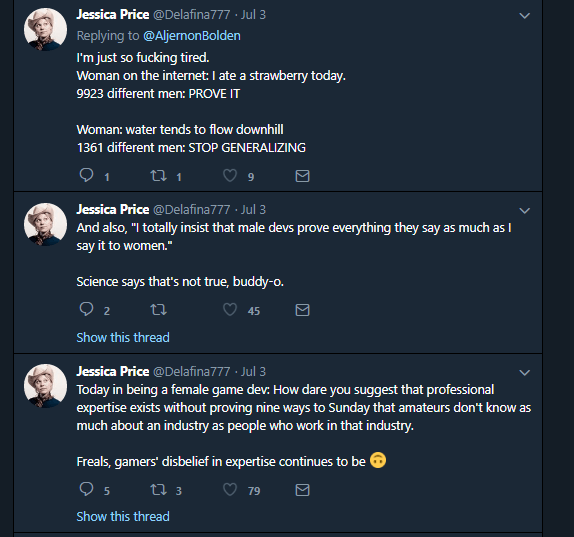 The final straw was when Jessica responded to a Twitter user saying “Today in being a female game dev: ‘Allow me — a person who does not work with you–explain to you how to do your job'”. The response was to a tweet she posted basically do an AMA where a user told her his theory on the game. The Tweet had nothing to do with gender, and was actually a quite constructive and thought out idea. However, Jessica turned it into something it wasn’t, which essentially pissed off a lot of fans.